Welcome to my stop on the Three Brothers ARC Tour hosted by AToMR! I am such a huge fan of Nicole's Lost & Found series, so I was excited to see her writing another book that was set on a ranch in the Midwest. 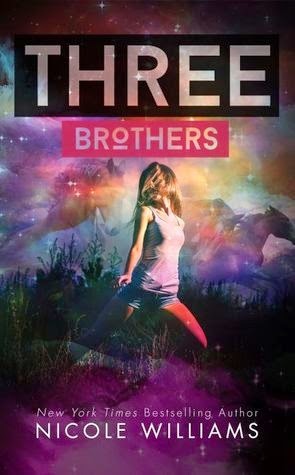 Three Brothers is a beautifully written story that really delves deep into the emotions of our main character Scout and how she handles being back at Red Mountain Ranch, after fleeing seven years ago because of heartbreak. This is a slower paced story, as it is more character driven and not as heavy on plot. (Being a character driven reader myself, it worked for me) There was so much beauty amidst the overwhelming sorrow and pain in this book though. It was hard to read about such broken characters who have so much anger and resentment within them. My heart ached for the Armstrong brothers and the burdens that they carry. Their father is withering away right in front of their eyes due to a deadly disease and there's absolutely nothing they can do but witness the deterioration of a man that was once so strong. Having been raised by John Armstrong after her mother died, Scout knows she has to go and pay her last respects and head back once more to the place she couldn't get away from fast enough. Scout is a fixer. She always has been and the same remains true for her now. 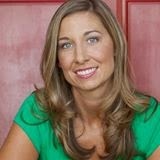 She walks back onto the ranch and tries to repair the damage that has been done by the Armstrong brothers. She refuses to let herself fall victim to heartbreak again with the one brother who is toxic to her, but can't stay away from at the same time. I am really proud that Scout did not fall back into old habits and stayed strong. That's not to say she didn't stoop to his level to get a few digs in herself, but thankfully she didn't throw herself at him either. The romance is this one was very slow building and was lacking a bit developmentally, but I still enjoyed it. There were one line in the beginning of the book that really caught my eye that Scout's mother had told her about the right guy, and I loved it so much, so I was a little disappointed it wasn't referenced again later in the book. While I like that there was relatively low drama in the romance department, I did feel once Scout found out about his feelings for her, she realized she felt the same way pretty fast. I can't say I really blame her because HELLO? He is wonderful and supportive and I just love him to pieces. I do wish there was a little bit more build up or at least we could have seen a bit more of Scout realizing her feelings aren't sisterly or very friendly after all. Ultimately Scout loves all three brothers in her own way and she is a vital part of their lives. Chase, the eldest, is dealing with his own tragedy and heartbreak, but slowly starts to revive himself. Chance, the middle brother, has always been the good, kind one. He is caring and intuitive and he tries to see the best in people, even when they don't deserve it. He is slow to anger and quick to forgive and I just loved him so so much. He is fearful of the curse the mountain brings and that is his one hang-up. Conn, the youngest, is a train wreck. Fueled by hate, anger, and resentment, he constantly brings others down and hurts them. He never lets anyone get too close to him and drives them away time and time again. Life on Red Mountain brings secrets, curses, and death to those who live on it, but it can also bring love, friendship, and hope too. I love that Scout won't let the negative things dictate her life. She is determined to live as she wants and she'll be damned if she lets fear drive away the beauty that remains there. If you don't mind slower paced, character driven novels, I would say check this one out. Williams' writing is beautiful and I really love the underlying message of love and forgiveness. We are review twins today WOOHOOO! I really enjoyed this book and the slow burn actually worked for me with this one. I adored Chance and I was so glad Scout finally saw him in the way he deserved. The one thing I wanted though was to see a bit of her time on the ranch as a teen. I would have loved to see Chance and Scout as BFFs and some of what went down with Conn. But even without that I really loved the emotion in this one. Great review! I've been reading that this one is a bit different in aspects of steaminess than Nicole's other books. But despite that, I do find this book to be very interesting! I love that the romance takes a while to build up. And though it does have a bit of a slower pace, I find the plot to be very interesting so I probably wouldn't mind a slower paced read. I think I'll have to give this one a try! I really enjoyed this book, even if parts of it about ripped my heart out. Nicole does slow-pace really, well.